The newly launched URA SPACE provides easier access to information and smoother online transactions. It consolidates detailed land use information and private property-related information onto a one-stop platform presented on geospatial maps. 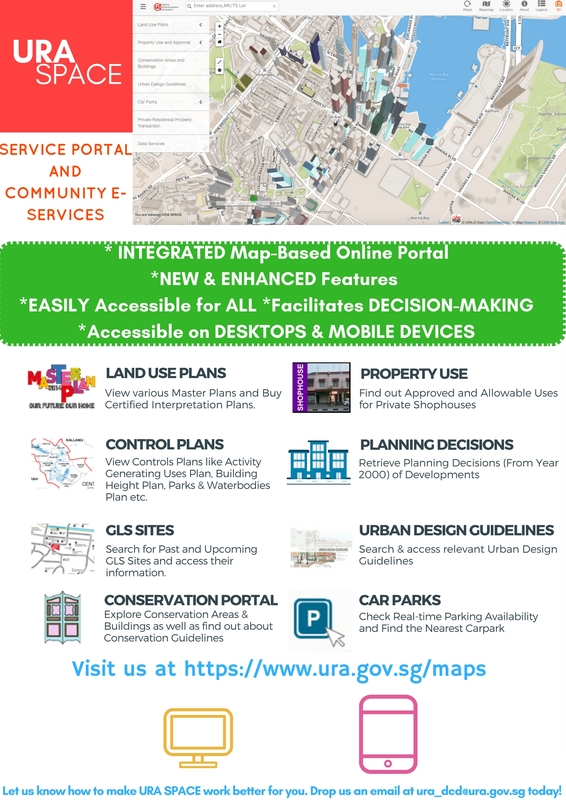 These maps are embedded with data for users to easily view and search for information relating to the master plan, urban design guidelines, private property use and previous related development application approval, car park locations and availability, private residential property transactions, and conservation areas and buildings.